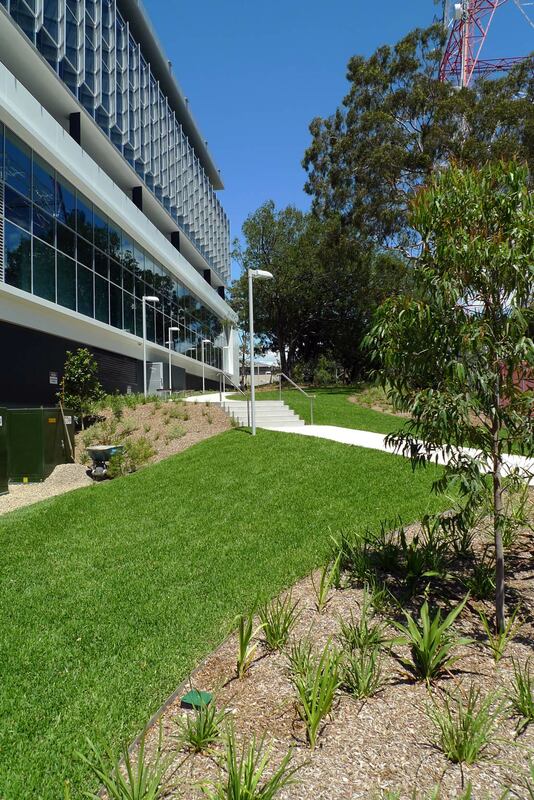 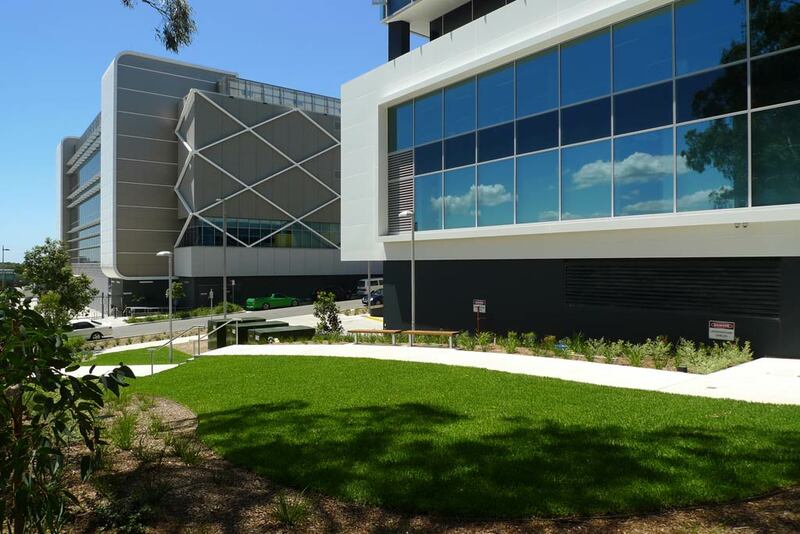 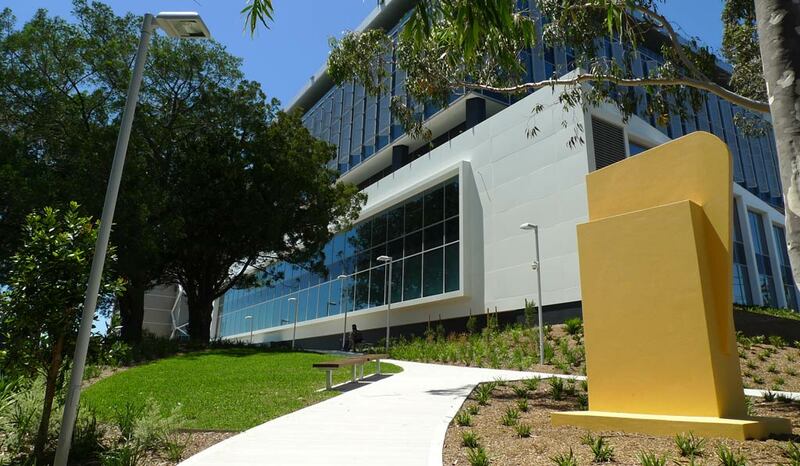 The new Gore Hill Technology Park is now partially completed and the first stage of the public domain open space network was completed at the end of 2012. 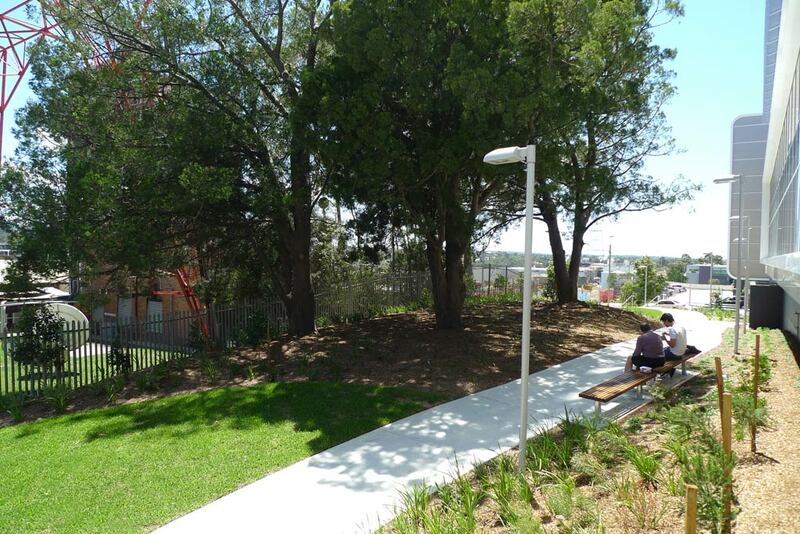 Key elements of the Central Park include an expansive pedestrian connection from Broadcast Way to the Pacific Highway, retention of valuable mature trees, clear and usable turf grassed open spaces, high quality pole lighting and sturdy seat furniture. 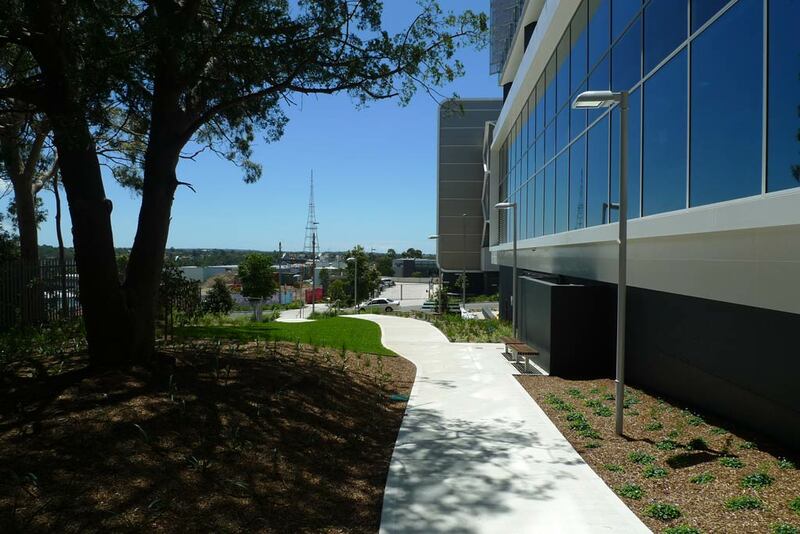 Other detailed features include a reconstructed heritage entrance pylon, referencing the former ABC Television complex, extensive indigenous planting selections, the use of harvested rainwater for irrigation and recreational amenity for the new Fox Sports offices and studios.